I've been in Washington DC before, but never on a sunny Autumn day. Right now, the leaves on the trees are the most vibrant shades of russet and gold and are all the more stunning against the backdrop of a bright blue sky. Driving along the Baltimore Washington Parkway is a visual delight with constant immersion in rich autumnal colours. It's a treat for the soul. 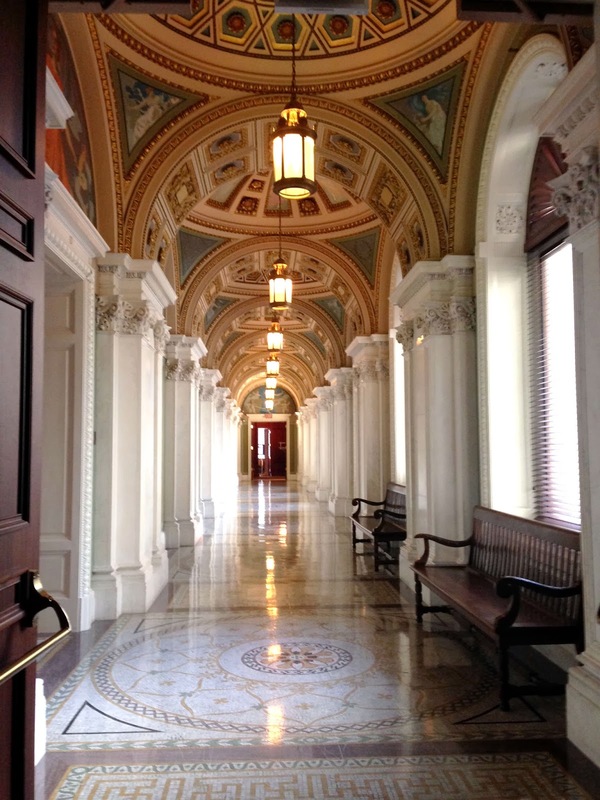 The good thing about visiting Washington DC on a Saturday is the quietness. It makes it pretty easy to get around and see the sights. I started with the Library of Congress, located in the 1897 Jefferson Building, a glorious Beaux Arts building right across from the Capitol. 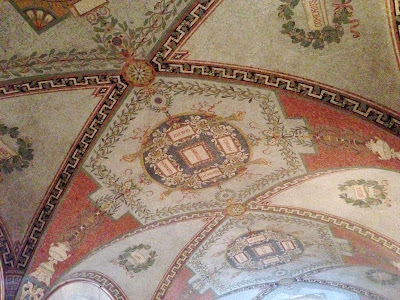 I wasn't expecting to find such elaborate architecture and design in an American building of this era. It is a wonderful tribute to everything book-related and our guide, Tom, was simply amazing. Later I headed to Luke's Lobster, located on E Street NW in the Penn Quarter. 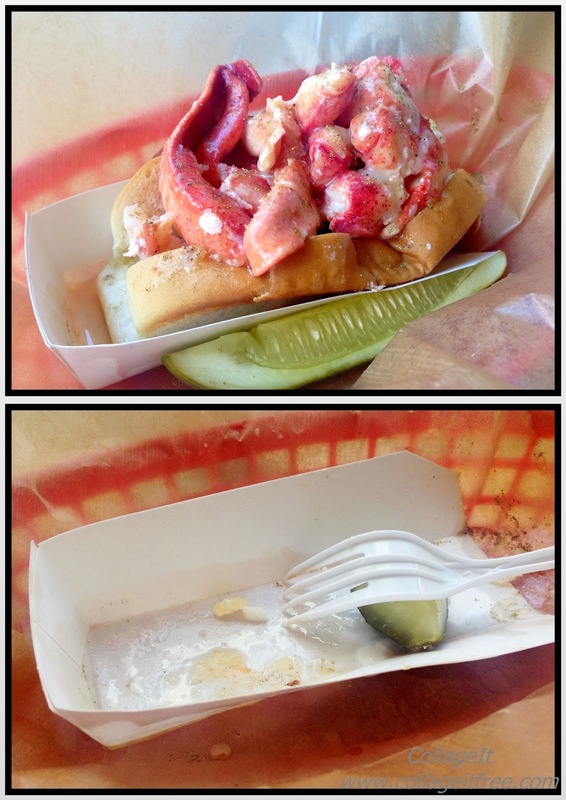 Nothing really symbolises North East America food better than the lobster roll and I really wanted to try one. The lobster roll is deceptively simple in nature, consisting of some form of a bun or roll, packed with lumps of lobster meat. I was failing to see how this simple sounding construction could inspire such passion and devotion from aficionados. After all, lobster is the finest of sea food with it's sweet, succulent flesh. The restaurant itself is relatively small with high stools and a beachshack vibe. 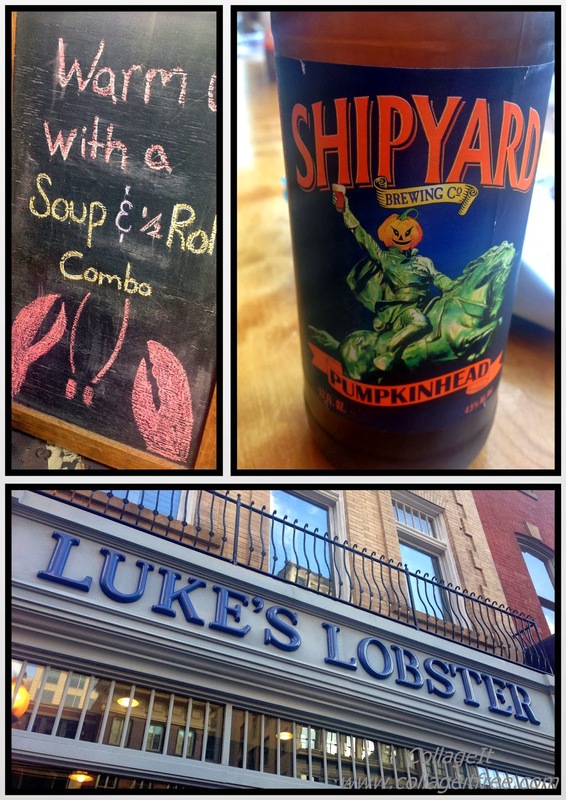 Luke's serve their lobster rolls Maine style. This means that the New England-style bun is toasted and buttered while the meat is cold and mixed with the slightest touch of mayonnaise, lemon juice and some secret spices. For $20, the lobster roll comes with chips (aka crisps), a pickle and a beer. At first glance, the bread roll itself appears quite small, but it is packed with large, coral-pink lumps of knuckle and claw meat. And it tastes so good. The bread is buttery sweet, brioche-soft with a slight sugary crunch, while the lobster is a literal gulp of the ocean. I chow it down, savouring every bite, but before too long I'm looking at an empty basket, mournfully dressed with lobster juices and seasoning. After my Luke's Lobster experience, I fully get the lobster roll love affair. Somehow, this simple dish pays full respect to this magnificent crustacean. Hopefully, the next time I enjoy a lobster roll, I'll be sitting on a beachfront with the wind in my hair and sea-salt on my lips.